Spelt flour is wondrous stuff. Our diets are filled with foods made from wheat, and each one can be made with spelt (with small modifications to the recipe). There are numerous reasons for substituting spelt flour for wheat, not least its great taste and the benefits of adding a variety of grains to your diet. Many people initially turn to spelt in search of a healthier diet but they keep eating it because it tastes so good. Bread made with spelt flour makes a delicious, light loaf, similar in colour and texture to light rye bread but with a slightly sweet, nutty flavour. 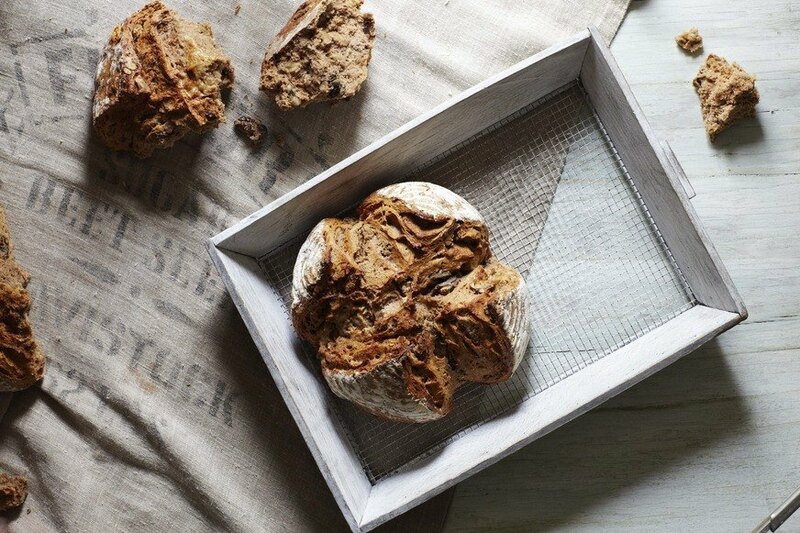 Artisan bakers are embracing spelt flour as it produces a delicious loaf. Why not give it a go. Spelt makes excellent bread. Artisan bakers and supermarkets across Britain are turning to spelt because its nutritious and tasty. Spelt produces a light grey, densely-textured bread with a good crust and a unique nutty flavour. Spelt flour has a higher protein content and a more delicate gluten structure than conventional wheat. 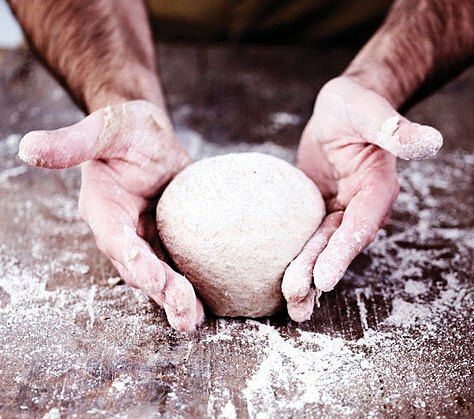 This means that you don't need to knead spelt dough for as long as dough made with conventional wheat flour. Remember though, that spelt flour is more hygroscopic than refined flour so the dough might need more liquid. Don't be afraid to add more water or milk to keep the dough soft and supple and avoid it drying out. Bread machines have been developed to be used with conventional wheat flour. As the proving time for spelt flour is shorter than for wheat flour, bread made exclusively with spelt flour is likely to rise and collapse before the machine's baking cycle has completed. Spelt bread recipes for bread machines replace half the spelt flour with strong white bread flour. Alternatively, you could run the dough programme, then remove the dough from the machine, put on a baking tray to rise before baking in a conventional oven. Spelt bread recipes using yeast tend to rise, ripen and mature quickly. This makes spelt especially good for quick and single rise breads as well as with double rise bread baking methods. To adapt a bread recipe using yeast for use with spelt flour you should reduce the proving time to prevent over ripening and bake as normal. Sourdough bread is arguably best made with spelt flour, which reacts very quickly with a sourdough culture. Try it and you will be converted! Bake it in a tin or basket to support the loaf. There isn't as much gluten in spelt as wheat flour and its the network of fine gluten strands that give the dough its structure, so a spelt loaf will benefit from being supported while it cooks. Spelt dough can be quite dense; to make it softer add a tablespoon of honey to give a pliable texture and to bring out the flavour of this glorious, nutty grain. To loosen the bread, add some fat, a little unsalted butter will do the job and it's better than oil. Add some lightly toasted seeds such as pumpkin or sunflower to add extra texture as well as nutrition. Finally, take your time and enjoy the process, bread making requires patience!